Event Master Pro is fully customizable to suit your event based business needs. Full control as the business owner has been kept in mind when in development. Customization is quick and simple. The first thing you will want to complete is your profile details, you can access them from the top left of the sidebar, just click your profile name. This information will be used for your invoices and the customized emails that are sent out. The Settings drop down menu in the side bar gives you many options to modify. 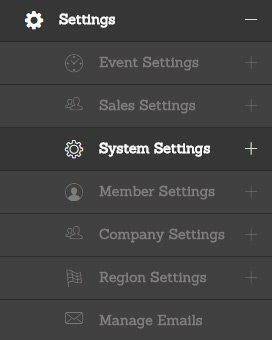 Event Settings, Sales Settings, System Settings, Member Settings, Company Setttings, Region Settings and Email Settings. The application has already been setup for a DJ business but you can change that to suit your business. 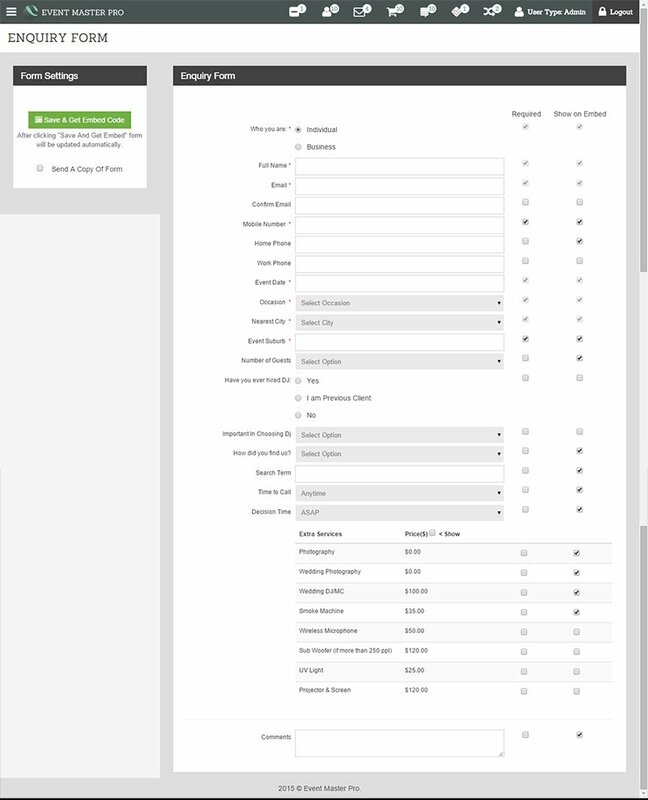 You can also change the settings for your enquiry form to your needs. 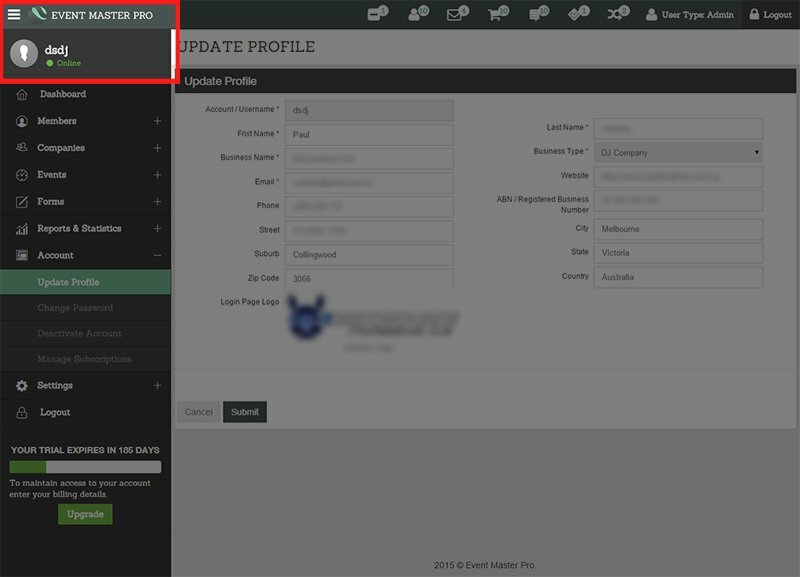 Basic information is required such as the Occasion, Nearest City and Event Date are required fields but the rest can be set to show or hide, be required or not.